WAITRESS, the Tony-nominated musical from Grammy® nominee Sara Bareilles, will make its Milwaukee premiere at the Marcus Center for a limited one-week engagement as part of the 2017-2018 Associated Bank Broadway at the Marcus Center Season from January 2-7. The production is looking for two young girls to perform the role of “Lulu” for the duration of the engagement. The character of “Lulu” is a sweet and carefree 4 to 5-year-old who appears in the production’s finale scene. Qualified young girls should be shorter than 4’2” and no older than 5 years and 3 months. Individual applicants are welcome, as are sets of twins or siblings. Space is limited to the first 40 applicants to sign up. The “Search for Lulu” will take place in Milwaukee on Thursday, November 9 at 10 a.m. and 12:30 p.m. and each session will last approximately 2 hours at the Marcus Center’s Bradley Pavilion. The audition will consist of the child reading two lines from the show. If possible, parents should bring a current head shot and resume for each child. Headshot, resume and prior acting experience is not required. PARTICIPANTS ONLY NEED TO ATTEND ONE SESSION. Time: Session One – 10 a.m. | Session Two – 12:30 p.m. Please plan to stay for 2 hours. 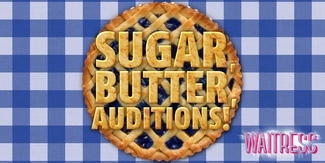 Find Auditions: Tryouts are updated daily - To find what you are looking for, type in your search terms below. Ex. "Los Angeles July 2018" or "nationwide casting calls 2018"